Published: Sept. 21, 2012 at 03:06 p.m. Updated: Sept. 21, 2012 at 04:01 p.m. 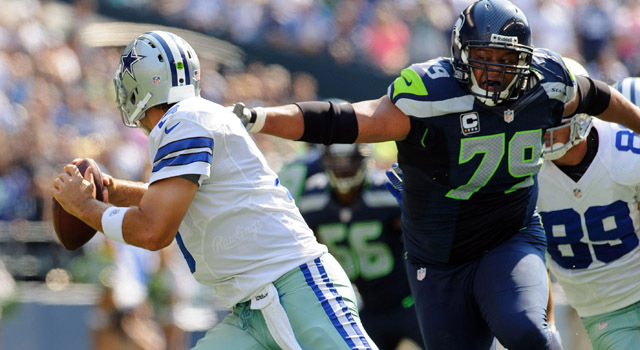 Powerful defensive lineman Red Bryant is an integral piece in the Seattle Seahawks' highly versatile front seven. The Seattle Seahawks quietly are emerging as a playoff contender behind one of the NFL's top defenses. The unit currently ranks sixth in total defense, surrendering just 274.5 yards per game, and second in run defense, giving up an average of just 46.5 yards an outing. 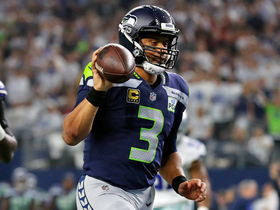 Those numbers certainly validate the effusive praise heaped in the Seahawks' direction, but a Monday-night showdown with the Green Bay Packers will reveal a lot about Pete Carroll's troops. In anticipation of this NFC slugfest, I thought I'd dig into the All-22 coaches tape to see if the Seahawks' D really is the new bully on the block. Seattle employs a hybrid 4-3/3-4 scheme that seamlessly transitions from a conventional four-man alignment to an overload front with 3-4 principles. 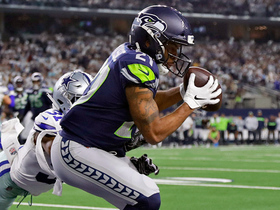 While most teams incorporate "over" and "under" fronts into their game plans, the Seahawks' hybrid scheme works due to the versatility of their front seven. For instance, Red Bryant and Chris Clemons are listed as defensive ends, but both bring different skills to the table. Bryant, who is built like a defensive tackle at 6-foot-4, 323 pounds, is a big, physical edge player with skills normally attributed to interior defensive linemen. He specializes in pushing offensive tackles and tight ends into the backfield, which prevents running backs from turning the corner on the strong side. Clemons, who measures in at 6-3, 254 pounds, is an exceptional edge player on the open side. He is a superb speed rusher with the athleticism and burst to sprint around the corner against heavy-legged offensive tackles. Carroll takes advantage of Clemons' unique skills by using him as the "Leo" (a hybrid defensive end/rush linebacker) to create consistent pressure off the edge. On the interior, Brandon Mebane and Alan Branch are big-bodied run stuffers with the ability to one-gap or two-gap in the middle. 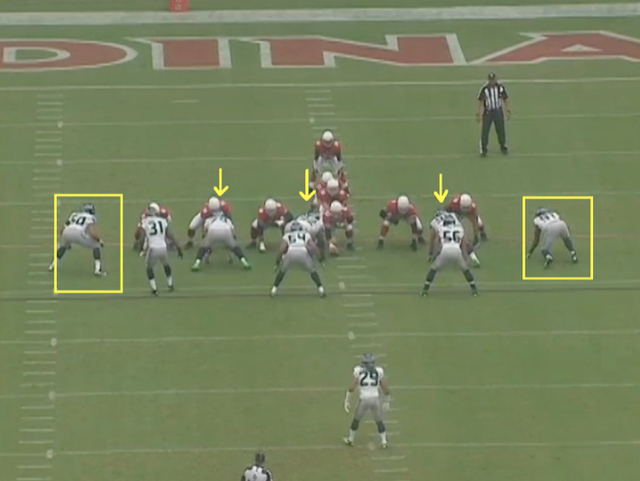 With Jason Jones and Bruce Irvin also filling roles as situational edge players, the Seahawks are able to throw a variety of combinations at opponents to create mismatches along the line. On the second level, the Seahawks feature three athletic linebackers (Leroy Hill, Bobby Wagner and Wright) with the capacity to blitz or cover with effectiveness. 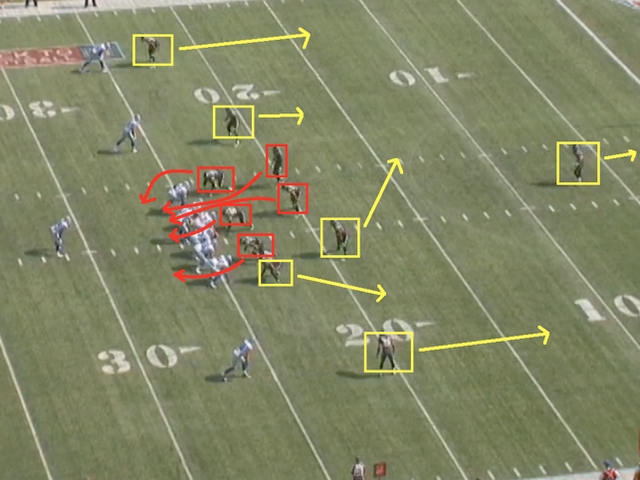 This enables Bradley the freedom to use five- and six-man blitzes or conventional zone coverage. 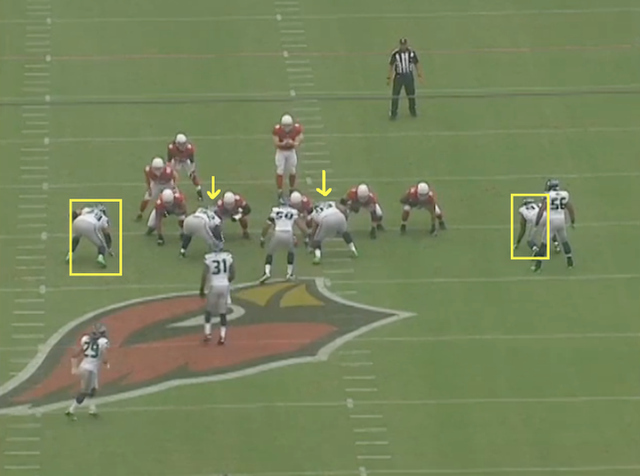 In addition, the Seahawks are able to jump into a variety of exotic personnel groupings and fronts that create confusion upfront. With the ability to use deception as a primary tactic, the Seahawks are able to generate negative plays and turnovers. 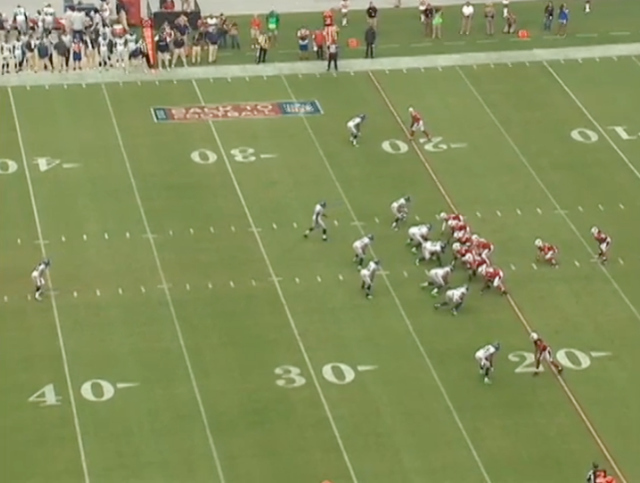 Click here to see a video of a sack against Dallas out of an exotic personnel package (Irvin and Clemons at defensive end, with Jones moving inside to play defensive tackle). The increasing size of NFL wide receivers has prompted some teams to alter their measurable standards for players in the secondary. Many are eschewing diminutive corners with extraordinary speed and agility, in favor of big, physical defenders with exceptional length and athleticism. 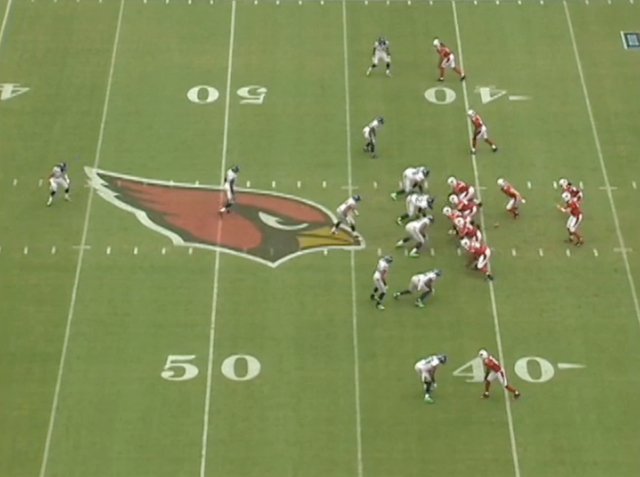 The Seahawks are spearheading this movement, with three members of their starting secondary measuring in over 6-3. Brandon Browner (6-4, 221 pounds), Richard Sherman (6-3, 195) and Kam Chancellor (6-3, 232) are three of the biggest defensive backs in the NFL, and their collective size allows Seahawks to match up with the tall pass catchers dominating the league. Cornerbacks Browner and Sherman excel in bump-and-run coverage, relying on their physicality and length to disrupt receivers early in routes. The constant harassment disrupts the timing of the passing game, and forces quarterbacks to fit balls into tight windows. As a result, more balls are tipped and deflected, leading to more interceptions in the backend. Carroll is quick to tell anyone within earshot that defensive football is all about creating turnovers. Carroll believes that takeaways are the deciding factor in most games, and he preaches going after the ball at every opportunity. 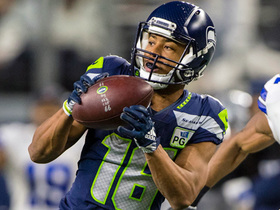 As I closely studied the Seahawks on tape, I came away impressed their ball-hawking mentality. From defensive linemen/linebackers attempting strips while gang-tackling to the aggressive play in the secondary, the Seahawks swarm to the ball with every intention of taking it away. Against the pass, in particular, Seattle does a great job of keeping vision on the quarterback and anticipating the direction of the throw. 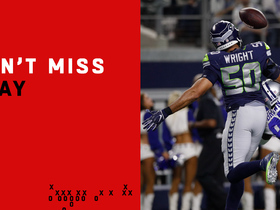 By keeping eyes on the ball, the Seahawks break quicker on throws, leading to more interceptions. 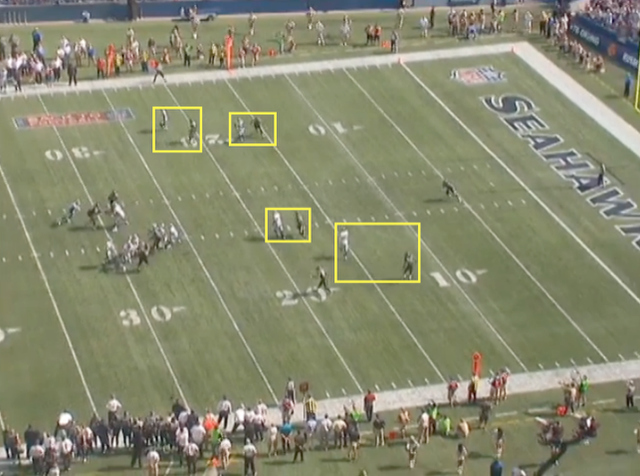 As a result of the coverage, vision and anticipation, Browner nabs a key interception.